The civil aviation sector in Kenya is regulated primarily by the Civil Aviation Act No. 21 of 2013 (CAA) as amended by the Civil Aviation (Amendment) Act 2016 (the Amendment Act) and the regulations promulgated thereunder. For over four years after the enactment of the CAA, the aviation sector in Kenya continued to use most of the regulations promulgated under the repealed Civil Aviation Act (Chapter 394, Laws of Kenya) (the Repealed Act)2 as only a few new regulations were issued under the CAA during that period. As at 9 July 2018, the Cabinet Secretary for Transport, Infrastructure, Housing and Urban Development (the Cabinet Secretary) has issued new regulations to give effect to various sections of the CAA. These new regulations relate to, among other things: aeronautic information services, operation of aircraft for commercial air transport, certification, licensing and registration of aerodromes, instruments and equipment, personnel licensing, approved maintenance organisations, approved training organisations, aircraft nationality and registration marks, safety management, air operator certification and administration, air accident and incident investigations, and airworthiness. There are also new regulations in the pipeline, some of which relate to licensing of air services and consumer protection. The Amendment Act legally recognised for the first time in Kenya the operation of remotely operated aircraft and, subsequently, the Kenya Civil Aviation Authority (KCAA) promulgated the Civil Aviation (Remote Piloted Aircraft Systems) Regulations 2017 to regulate the ownership and operation of remotely operated aircraft. However, on 26 June 2018, the National Assembly Committee on Delegated Legislation on the Civil Aviation (Remote Piloted Aircraft Systems) Regulations 2017 recommended that these Regulations be annulled in their entirety. The National Assembly agreed with the recommendation and annulled the Regulations. The CAA establishes the KCAA and also establishes the National Civil Aviation Administrative Review Tribunal (NCAART). The KCAA regulates virtually every aspect of civil aviation in Kenya, including the licensing of aircraft service providers and operators, undertaking registration of aircraft in Kenya, certifying the airworthiness of aircraft and enforcing the penalties and fines arising as a result of breaches of the statutory provisions. The KCAA has the statutory power to seize and detain an aircraft for the purposes of securing any unpaid charges or fees for any services performed by the KCAA or as a penalty for the contravention of a specific statutory provision. The NCAART has the jurisdiction to hear and determine disputes relating to licences issued by the KCAA, any order or direction imposed by the KCAA pursuant to the CAA and the Regulations, and consumer protection compliance in the aviation sector. Kenya has entered into a number of bilateral air services agreements that regulate slots, traffic and transit rights. Pursuant to Article 2(5) of the Constitution of Kenya (the Constitution), treaties or conventions ratified (whether before or after the promulgation of the 2010 Constitution) by Kenya automatically form part of Kenyan law. In the aviation sector, Kenya has ratified the Convention on International Interests in Mobile Equipment (the Cape Town Convention) and the Protocol to the Convention on International Interests in Mobile Equipment on Matters Specific to Aircraft Equipment (the Cape Town Protocol). Kenya domesticated the Cape Town Convention and the Cape Town Protocol by enacting the International Interests in Aircraft Equipment Act (No. 27 of 2013), which gives the High Court of Kenya (the High Court) jurisdiction in respect of claims brought under the Cape Town Convention or the Cape Town Protocol, or to grant relief and award damages as provided under the same. Labour and employment issues are governed by the employment regime in Kenya, which applies to all employees generally. The current labour law regime in Kenya therefore applies to employers and employees in the aviation sector. The key legislation governing liability in the aviation sector is the CAA and the Carriage by Air Act No. 2 of 1993 (CBAA). The various regulations promulgated under the CAA also contain provisions that render persons liable for breaches of the obligations provided in the regulations. The CBAA gives effect to the Convention for the Unification of Certain Rules Relating to International Carriage by Air signed at Warsaw on 12 October 1929 as amended by the Hague Protocol 1955 (the Warsaw Convention). The CBAA establishes a liability regime for the death or injury of passengers, loss of or damage to cargo and damage occasioned by delay that occurs during carriage by air. The provisions of the CBAA are listed below (see Section VIII). The CBAA also provides for non-convention carriage by: (1) substituting any liability of a carrier in respect of the death of that passenger provided for under any written law or at common law with liability imposed by Article 17 of the Convention; and (2) allowing the Cabinet Secretary to make an order in the Kenya Gazette directing that the provisions of the CBAA relating to carriage by air should apply to other forms of carriage by air to which the Warsaw Convention does not apply.8 Pursuant to the above, the Cabinet Secretary gazetted the Carriage by Air (Application of Convention) Order in 19939 directing that all the provisions of the CBAA and the Warsaw Convention with the exception of Articles 3, 4, 6, 8, 9, 10 and 28 of the Warsaw Convention shall apply to all non-international carriage by air in Kenya. where there is no specific penalty imposed, the fine shall not exceed 2 million Kenyan shillings, and in the case of a second or subsequent conviction for the like offence, the fine will not exceed 4 million Kenyan shillings. In addition to the provisions of the CAA, the CBAA and the Operation of Aircraft Regulations and other regulations on passenger and passenger handling, passenger rights are also covered under the consumer protection regime in Kenya, which consists principally of Article 46 of the Constitution and the Consumer Protection Act 2012 (CPA). The CPA establishes a comprehensive legal mechanism for consumer protection in Kenya. Article 46 of the Constitution provides that consumers are, inter alia, entitled to the right to goods and services of a reasonable quality and the CPA sets out the rights and obligations of consumers generally and under specific consumer agreements. Further, the CPA provides the means for seeking legal redress for breach of the provisions of the CPA by a supplier of goods and services under certain consumer agreements, prohibits and imposes sanctions for unfair consumer practices and provides for compensation. In relation to aviation, the CPA imposes an obligation on passenger air carriers to provide overnight accommodation or meals to passengers whose flights have been cancelled or are subject to long delays.10 Kenya is currently in the process of drafting the Civil Aviation (Consumer Protection) Regulations to provide for consumer rights and obligations including the rights of persons with disabilities or special needs, consumer complaint handling and procedures, notification of delays, cancellations, no-show baggage concerns and compensation for passengers. Passengers with complaints may approach the Consumer Protection Section of the KCAA, which is responsible for the enforcement of consumer rights and facilitates informal settlement schemes with airlines on an ad hoc basis. There are various other laws in force that may impose liability for those in the aviation sector. Laws relating to competition and product liability are covered in more detail elsewhere in this chapter. The Bribery Act (No. 46 of 2016) (the Bribery Act) came into force on 15 January 2017. The Bribery Act is modelled on the UK Bribery Act 2010 and was enacted to aid in the prevention, investigation and punishment of bribery in Kenya with particular focus on the private sector. Bribery offences under the Bribery Act are wide ranging and the Ethics and Anti-Corruption Commission has through the Bribery Act been provided with a more robust mandate to combat bribery in the public and private sectors. The Environmental Management and Co-ordination Act (Act No. 8 of 1999) regulates environmental activities for, among other things, operation of aircraft in accordance with specific emission standards. Whereas all the other aspects of aviation operations in Kenya are regulated by new regulations, most of which were promulgated in 2018, licensing of air services is still regulated by the Civil Aviation (Licensing of Air Services) Regulations 2009 promulgated under the Repealed Act. The KCAA is in the process of formulating the Civil Aviation (Licensing of Air Services) Regulations 2016, and has produced a draft version. Services that require licensing include air services,11 air navigation services12 and aviation personnel services.13 An applicant is required to demonstrate that he or she is able to comply with the relevant regulations, the CAA and other applicable laws and have the financial and technical capability to undertake the proposed activity. A licence may be valid from two to five years and certain conditions may be attached to it. Pursuant to a circular issued by the KCAA in March 2014, the KCAA directed licence holders of both international and domestic air services that had not complied with the provisions of the Licensing of Air Services Regulations to ensure that 51 per cent of their voting rights are held by the state or Kenyan citizens by January 2016. This forced a number of air service providers to restructure their shareholding. Any person seeking to use or operate an aircraft for the provision of any 'air services' within Kenya must be licensed under the Licensing of Air Services Regulations. The Fifth Schedule to those Regulations lists the categories of air services and aircraft requiring licensing. No aircraft in Kenya will be registered until it has been certified as airworthy by the KCAA in accordance with its standards relating to safety. Inspection of airworthiness is undertaken at least every 12 months in accordance with the Civil Aviation (Airworthiness) Regulations 2018 and an aircraft will not be permitted to operate in Kenya if it has not been certified as airworthy.25 In a limited number of scenarios airworthiness exemptions may be available. a requirement for the KCAA to ensure that operators not approved to transport dangerous goods have established a dangerous goods training programme that meets the requirements of the Technical Instructions, and have established dangerous goods policies and procedures in their operation manual. The KCAA may also specify on an air operator's licence conditions relating to safety that require compliance. The Operation of Aircraft Regulations also governs the insurance aspect of civil aviation in Kenya. All types of aircraft must have an insurance policy in respect of third-party risks.36 The insurance policy for commercial air transport aircraft (passenger, cargo, mail, remuneration or hire) must cover: passengers' liability; cargo; baggage; and mail risks. Notification of the minimum sum of insurance in respect of third-party risks shall be given by the KCAA. In accordance with the Insurance Act (Chapter 487, Laws of Kenya), insurance for aircraft registered in Kenya ought to be taken with a locally registered insurer unless prior approval from the Commissioner of Insurance has been obtained. However, a local insurer would be permitted to reinsure the liability with foreign reinsurers, which is common practice. Compliance with the insurance requirements extends to aircraft on foreign registers as well as national registers. Foreign-registered aircraft flying over Kenyan airspace or making a technical stopover in Kenya (e.g., to refuel) have to provide the KCAA with a copy of their insurance policy, which must comply with Kenyan insurance requirements. Cooperation agreements between operators may be construed to be a type of prohibited agreement under the Competition Act. A prohibited agreement includes an agreement between parties in a horizontal relationship and parties in a vertical relationship if their objective or effect is the prevention, distortion or lessening of competition in trade in any goods or services in Kenya, or a part of Kenya.38 Other practices considered to be restrictive under the Competition Act include directly or indirectly fixing purchase or selling prices; dividing the market by allocating customers and suppliers; or applying dissimilar conditions to equivalent transactions with other trading parties. It is possible to obtain an exemption from the Competition Authority when undertaking an activity that may be construed as a restrictive trade practice. 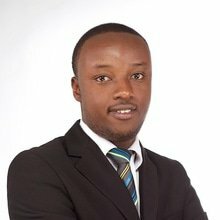 Kenya Airways and KLM/Air France have obtained such an exemption in relation to coordinating schedules, setting fares and using measures to save costs through code-sharing agreements, scheduling alignments and, where necessary, adjusting capacity on the route between Nairobi and Amsterdam and beyond. the notification attracts a merger fee calculated at 0.1 per cent of the combined annual turnover or combined value of assets in Comesa of the parties to a merger, whichever is higher, provided that the fee does not exceed US$200,000. The High Court has ruled that claims against carriers in respect of the death of passengers are to be brought under the Warsaw Convention and not normal rules of tort, and accordingly are subject to the two-year limitation period.39 There have been wrongful death claims against Kenya Airways (KQ) before in relation to the January 2000 Abidjan crash. Investigation reports carried out by the French Accident Investigation Bureau revealed that a false stall warner was activated, and in response, the pilots took the aeroplane into a nose dive so as to recover from the stall, but because of the lack of visual reference at night the plane crashed into the sea.40 KQ compensated the families of 60 deceased Nigerians; each family received 13.4 million Kenyan shillings. KQ Flight 507 crashed on 5 May 2007 immediately after take-off from Douala International Airport.41 The Cameroon Civil Aviation Authority released its final report of the crash on 28 April 2010. The investigation found that the aircraft departed without clearance from air traffic control and that loss of control of the aircraft was the result of spatial disorientation and lack of crew coordination.42 In an out-of-court settlement, KQ compensated the families of the victims with an estimated 1.9 million Kenyan shillings each. 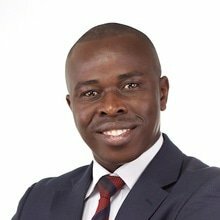 the court has powers to make just and equitable orders at any stage of the proceedings in view of the provisions of the Convention limiting liability of the carrier and any proceedings that have been or are likely to be commenced outside Kenya. An action can be instituted in the High Court of Kenya against the carrier. The CBAA also provides for actions to be instituted before an arbitrator in the circumstances highlighted in the Convention. It is noteworthy that Section 5 of the CBAA provides that references in Section 3 of the Fatal Accidents Act (Chapter 32, Laws of Kenya) to a wrongful act, neglect or default shall include incidents occasioning liability under Article 17 of the Warsaw Convention. This means that an action for damages can be brought against the carrier by the executor or administrator of the deceased for the benefit of the deceased's wife, husband, parent or child. The Law Reform Act (Chapter 26, Laws of Kenya) will also apply as it confers rights for the benefit of the estate of the deceased in addition to rights conferred on the dependents by virtue of the Fatal Accidents Act and the Carriage by Air Act. Section 7 of the CBAA expressly applies the limitation period stated in Article 29 of the Warsaw Convention. This provides that no action against a carrier's servant or agent that arises out of damage covered by the Warsaw Convention can be brought after more than two years from the date of arrival at the destination; the date on which the aircraft ought to have arrived; or the date on which the carriage stopped. With the exception of the passenger liability regime established by the CBAA there is no separate regime governing the operator's liability to passengers and third parties. There is no special aviation regime governing manufacturers' liability and Kenya does not have an industry involved in the manufacture of aircraft. An owner's liability to an operator will prima facie be governed by the contractual agreement between the parties. Currently, there is no specific statute that expressly governs owners' liability to passengers. With respect to third parties, provisions in the CAA make the owner and not the operator of an aircraft liable for material loss or damage caused to any person or property on land or water by: an aircraft; a person in an aircraft or an article; or a person falling from an aircraft while in flight, take-off or landing. Pursuant to the Carriage by Air (Currency Equivalent) Order 199343 enacted under the CBAA,44 the equivalent in Kenyan currency of 250,000 gold francs, being the limited liability of the carrier for each passenger under Article 22 of the Warsaw Convention, is 1,306,286 Kenyan shillings or US$20,000, whichever is higher. Currently, there is no scheme of state-funded social security and medical support for those involved in accidents. Also there are no local laws regarding post-accident family assistance. However, the Fatal Accidents Act (Chapter 32, Laws of Kenya) provides for actions to be brought for the benefit of the deceased's family whenever the death of a person is caused by a wrongful act, neglect or default is such as would (if death had not ensued) have entitled the person injured to maintain an action and recover damages in respect thereof. Additionally, the Safety Management Regulations require the KCAA to establish a voluntary safety reporting system to collect safety data and safety information not captured in the compulsory reporting system.48 An operator or other aviation service provider is also required to establish a voluntary safety reporting system to facilitate collection of information on actual or potential safety deficiencies that may not be captured by the compulsory safety reporting system. The safety reporting system should not be punitive and shall afford protection to the source of the information. With an improving regulatory climate in Kenya generally, and east Africa offering attractive investment opportunities, Nairobi continues to be a regional hub for passenger and cargo traffic into the east African region and elsewhere on the continent. The national flag carrier, KQ, has made a financial turnaround under its new management which includes Michael Joseph, the former Safaricom CEO, taking over in 2016 as the chairman and Sebastian Mikosz being appointed as the CEO effective 1 June 2017. In 2017, KQ announced that it had reduced its full year net loss by more than half to 10.2 billion Kenyan shillings. This was a 60.9 per cent drop in its net loss for the 12 months ending March 2017 from the 2016 loss of 26.2 billion Kenyan shillings. On 21 March 2018, the national carrier released its financial report on 31 December 2017 having decided to change its financial year end from 31 March. For nine months from 31 March 2017, the national carrier realised an operating profit of 1.306 billion Kenyan shillings compared to 897 million Kenyan shillings realised the previous year, and reduced its loss to 6.08 billion Kenyan shillings. KQ also opened a cargo express centre at the Jomo Kenyatta International Airport (JKIA) aimed at increasing KQ cargo revenue as part of the airline's restructuring strategy. The centre is set to increase efficiency in e-commerce logistics, cargo-handling service, electronic customers' clearance and airport ground-handling services. The express cargo centre is now exporting Kenyan-grown flowers to Sydney and Melbourne, Australia. KQ partnered with the Australian airline Qantas Airways to transport flowers via Johannesburg into Sydney and Melbourne. This venture is expected to see KQ cargo carry over 30 tonnes of flowers to Australia every month, a measure that KQ hopes will increase its revenue as part of the turnaround strategy. Recently, JKIA was granted category one status and clearance to fly directly to the United States by the United States Federal Aviation Authority. This is as a result of Kenya complying with global safety and security standards. KQ is expected to make its maiden direct flight to the US in October 2018. This development could see a drop in air fares to the United States and the direct flights could also reduce travel time and subsequently may lead to better trade partnerships and better tourism. This falls within KQ's broader expansion strategy steered by the new management that has also seen the national flag carrier introduce three non-stop flights from Nairobi to Cape Town as well as four weekly direct flights to Mauritius. KQ expects to increase its revenue from its direct flights to the US and the new routes. The Kenya Airports Authority finalised the first phase of the expansion of the Malindi International Airport last year. The second phase is expected to include expansion of the runway from 1.4km to 2.5km. The Isiolo International Airport that was one of the Vision 2030 (the economic blueprint for the country and at the heart of government policy) flagship projects was also completed and is now in use. The construction of a vital access road known as Port Reitz – Moi International Airport Access Road in Mombasa has improved access to and from Moi International Airport in Mombasa. The construction of a runway at Kisumu International Airport is still ongoing. The project includes the construction of a parallel taxiway, cargo apron and public car park. Additionally, several new routes have been opened in order to increase the flights departing from JKIA. Kenya's safari airline Safarilink launched flights to and from Zanzibar from 1 July 2017. The new route operates four times a week and enables travellers to easily connect to other safari destinations such as Maasai Mara and Laikipia. Qatar Airways announced that it would launch direct flights between Mombasa and Doha from 2018. Ethiopian Airlines is also expected to increase its flights from and to Mombasa from Addis Ababa to twice daily and has already been granted an additional frequency by the Kenyan government. This would increase local competition for KQ as well as other domestic airlines such as Fly 540, Fly-SAX and Jambo Jet who operate flights between Mombasa and Nairobi. KQ also launched direct flights to Victoria Falls, Zambia, being the second-largest African airline to fly directly to the tourist attraction. As part of the Vision 2030 objectives, which seek to make Kenya a middle-income economy by 2030, the Kenyan government has identified infrastructural development as an enabler of Kenya's transformation. Kenya will join Rwanda as the second African country to regulate the commercial use of drones once the Cabinet Secretary and the KCAA revise the regulations on remote piloted aircraft systems to take into account the recommendations by the National Assembly (see Section I). There are plans by Astral Aviation, a Kenyan-based logistics firm to set up a drone academy in Kenya to train drone pilots and Unmanned Aerial Vehicle operators and has already applied for a licence from KCAA. If approved, Kenya will be the second country in Africa (after South Africa) to have such a training facility. Astral Aviation had also proposed to open up a drone airport at Kapese airstrip in Lokichar in a move seen as a means to tap into the opportunities arising from oil exploration activities in the region. This facility will be the first of its kind in Africa and it was expected to be ready by February 2018. At the time of writing, no revised date has been given. In addition, KQ has proposed to buy 10 Boeing Co 737 Max aircraft in line with its five-year strategy. The acquisition of the aircraft will enable the national flag carrier to achieve its expansion strategy. 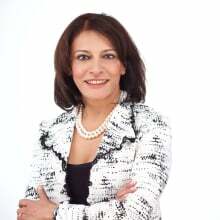 1 Sonal Sejpal is a director, Peter Mwaura is a principal associate and Fred Mogotu is an associate at Anjarwalla & Khanna. 2 The Civil Aviation Act (Chapter 394, Laws of Kenya) was repealed in 2013. 3 For this reason, it is very difficult to be certain whether there may be a treaty or convention that has a bearing on this chapter. While we have tried to be as diligent as we can in researching all applicable conventions and treaties, the treaties and conventions covered in the following sections may not be an exhaustive guide to all of the treaties and conventions that may be relevant or applicable to the matters in this chapter. For a list of treaties ratified by Kenya see the International Civil Aviation Organization's Treaty Collection: www.icao.int/secretariat/legal/Status%20of%20individual%20States/kenya_en.pdf. 4 Section 48 of the CAA. 5 Section 59 of the CAA. 6 The penalty for contravening this provision will be either a monetary fine not exceeding 200,000 Kenyan shillings or a suspension of privileges, withdrawal or cancellation of licence or any other sanction on the certificate or licence that the Director-General may deem appropriate. Section 61 of the CAA. 7 Section 65 of the CAA. 8 Section 11 of the CBAA. 9 Legal Notice No. 162 of 1993. 10 Section 91 of the CPA. 11 Aviation services means any service performed by means of an aircraft for hire or reward and includes air transport service, aerial work and flight training; Regulation 2 Licensing of Air Services Regulations. 12 Aviation services means any service performed by means of an aircraft for hire or reward and includes air transport service, aerial work and flight training; Regulation 2 Civil Aviation (Licensing of Air Services) Regulations 2009. 13 Aircraft personnel services includes services offered by pilots, ground instructors, flight engineers, air traffic controllers, aircraft maintenance engineers, flight operations officers, flight radio telephony operators and cabin crew members; Regulation 4 Civil Aviation (Personnel Licensing) Regulations 2013. 14 Under Regulation 2 Air Licensing Regulations, 'internal air service' means an air service operated within Kenya, and includes an air service that may pass through the airspace of another state without providing air service in that other state and 'international air services' means an air service provided between Kenya and at least one other state and excludes an air service that may pass through the airspace of another state without providing air service in that other state. 15 Regulation 5 Civil Aviation (Licensing of Air Services) Regulations 2009. 16 Regulation 12 Civil Aviation (Licensing of Air Services) Regulations 2009. 17 Regulation 13(1) Civil Aviation (Licensing of Air Services) Regulations 2009. 18 Regulation 19 Civil Aviation (Licensing of Air Services) Regulations 2009. 19 Regulation 21(1) of the Civil Aviation (Licensing of Air Services) Regulations 2009. 20 Regulation 21(3) of the Civil Aviation (Licensing of Air Services) Regulations 2009. 21 Regulation 20(2) Civil Aviation (Licensing of Air Services) Regulations 2009. 22 Pursuant to Regulation 19(4) Civil Aviation (Licensing of Air Services) Regulations 2009, National air carriers are required to submit a business plan for the first two years of operation including information on the applicant's financial links with any other commercial activity that the applicant is directly or indirectly engaged in. 23 Regulation 52 and 53 of the Civil Aviation (Licensing of Air Services) Regulations 2009. 24 Regulation 3(3) Civil Aviation (Aircraft Nationality and Registration Marks) Regulations 2018. 25 Regulation 27 Civil Aviation (Operation of Aircraft) Regulations 2018. 26 Regulation 4 Civil Aviation (Safety Management) Regulations, 2018. 27 Regulation 4 Civil Aviation (Safety Management) Regulations, 2018. 28 The Second Schedule of the Civil Aviation (Safety Management) Regulations, 2018. 29 Regulation 34 of the Civil Aviation (Operation of Aircraft for Commercial Air Transport) Regulations 2018. 30 Regulation 3 of the Civil Aviation (Operation of Aircraft for Commercial Air Transport) Regulations 2018. 31 Regulation 207 of the Civil Aviation (Operation of Aircraft for Commercial Air Transport) Regulations 2018. 32 Regulation 87 of the Civil Aviation (Operation of Aircraft for Commercial Air Transport) Regulations 2018. 33 Regulation 170 of the Civil Aviation (Operation of Aircraft for Commercial Air Transport) Regulations 2018. 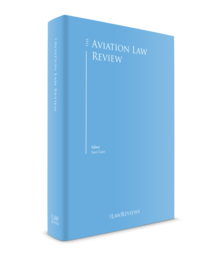 34 Regulation 206 of the Civil Aviation (Operation of Aircraft for Commercial Air Transport) Regulations 2018. 35 Regulation 86 of the Civil Aviation (Operation of Aircraft for Commercial Air Transport) Regulations 2018. 36 Regulation 15(1) of the Civil Aviation (Operation of Aircraft) Regulations 2013. 37 Section 71(1) of the Competition Act. 38 Section 21(1) of the Competition Act. 39 See Charity Wairimu Wanjau v. Ethiopian Airlines HCCC No. 824 of 2003; Bayer EA Ltd v. Air France & another HCCC No. 326 of 1994 and Gikai Investment Company Limited v. British Airways Cargo HCCC No. 223 of 2003. 40 French Accident Investigation Bureau, Accident Report 5y-n000130 A310 CFIT after take-off, Abidjan, Ivory Coast, 30 Jan 2000 (2002). 41 Stephanie McCrummen, 'Passenger Jet Disappears Over Cameroon'  Washington Post Foreign Service. 42 The Cameroon Civil Aviation Authority, 'Technical Investigation into the Accident of the B737-800 Registration 5Y-KYA Operated by Kenya Airways that occurred the 5th May 2007 in Douala' (2010). 43 Legal Notice 189 of 1993. 44 Section 6(4) of the Carriage by Air Act. 45 'Accident' means an occurrence associated with the operation of the aircraft that, in case of a manned aircraft, takes place between the time any person boards the aircraft with the intention of flight until such time as all such persons have disembarked, or in the case of an unmanned aircraft takes place between the time the aircraft is ready to move with purpose of flight until such time as it comes at the end of the flight and the primary propulsion system is shut down, in which a person is fatally or seriously injured as a result of being in the aircraft, or direct contact with any part of the aircraft, including parts that have become detached from the aircraft, or direct exposure to jet blast (except when the injuries are from a natural cause, self-inflicted or inflicted by other persons, or when the injuries are to stowaways hiding outside the areas normally available for the passengers and the crew); or the aircraft sustains damage or structural failure that adversely affect the structural strength, performance or flight characteristics of the aircraft; and that would require major repair or replacement of the affected component (except for engine failure or damage, when the damage is limited to a single engine (including its cowlings or accessories), to propellers, wing tips, antennas, probes, vanes, tires, brakes, wheels, failings, panels, landing gear doors, windscreen, the aircraft skin (such as small dents or puncture holes), or for minor damages to main rotor blades, tail rotor blades, landing gear, and those resulting from hail or bird strike (including holes in the radome) or the aircraft is missing or completely inaccessible). Regulation 2 Civil Aviation (Aircraft Accident and Incident Investigation) Regulations 2018. 46 'Incident' means an occurrence, other than an accident associated with the operation of an aircraft which affects or could affect the safety of operation. Regulation 2 Civil Aviation (Aircraft Accident and Incident Investigation) Regulations 2013. 47 Regulation 20 of the Civil Aviation (Aircraft Accident and Incident Investigation) Regulations 2018. 48 Regulation 13 of the Civil Aviation (Safety Management) Regulations 2018. 49 'Authority' in this instance means the KCAA. Regulation 2 Civil Aviation (Aircraft Accident and Incident Investigation) Regulations 2018. 50 Regulation 81(1) Civil Aviation (Operation of Aircraft for Commercial Air Transport) Regulations 2018. 51 Regulation 81(2) Civil Aviation (Operation of Aircraft for Commercial Air Transport) Regulations 2018. 52 A relevant person means the pilot-in-command, operator or the owner of the aircraft at the time of the accident or serious incident, or where the accident or serious incident occurs on or adjacent to an aerodrome in Kenya, the owner or operator of the aerodrome. Section 2 of the Civil Aviation Act No. 21 of 2013. 53 A chief investigator is a person appointed by the Cabinet Secretary to be responsible for aircraft accident and incident investigations. 54 Regulation 8(1) Civil Aviation (Aircraft Accident and Incident Investigation) Regulations 2018. 55 Regulation 8(2) Civil Aviation (Aircraft Accident and Incident Investigation) Regulations 2018. 56 Regulation 8(5) Civil Aviation (Aircraft Accident and Incident Investigation) Regulations 2018. 57 An Investigator-In-Charge is a person charged, on the basis of his or her qualifications and experience, with the responsibility for the organisation, conduct and control of an investigation. Regulation 2 of the Civil Aviation (Aircraft Accident and Incident Investigation) Regulations 2018. 58 Regulation 8(7) Civil Aviation (Aircraft Accident and Incident Investigation) Regulations 2018. 59 Regulation 8(8) Civil Aviation (Aircraft Accident and Incident Investigation) Regulations 2018. 60 Regulation 14(3) Civil Aviation (Aircraft Accident and Incident Investigation) Regulations 2018. 61 Regulation 18 Civil Aviation (Aircraft Accident and Incident Investigation) Regulations 2018. 62 Regulation 19 Civil Aviation (Aircraft Accident and Incident Investigation) Regulations 2018.